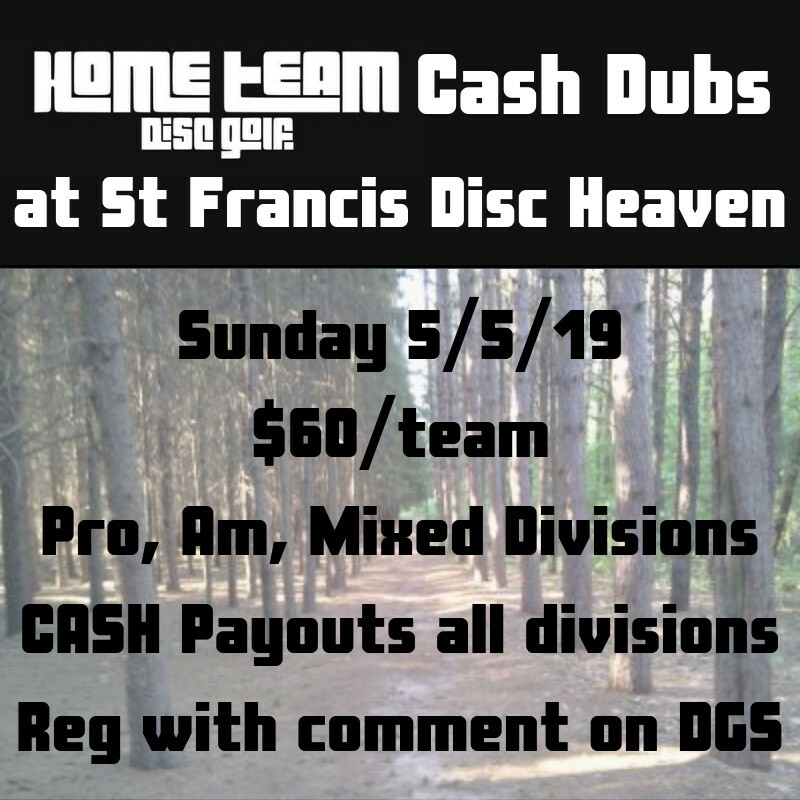 HomeTeam Disc Golf welcomes your doubles team for 2 rounds of 18 at St Francis Disc Heaven on Sunday 5/5/19. Best shot doubles format. 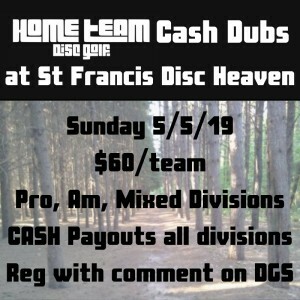 $60/team with 3 divisions: Pro, Am, Mixed with CASH payouts for all divisions. Lunch will be provided on site with Pizza from Mitten Pizza between rounds. Register your team with a comment on on DiscGolfScene.com with your names, PDGA #s (if you have one), division, and team name. Optional side games: $5 Ace pool and $5 50/50 CTP per person.